Desert Hot Springs is a unique small city of spas and Resorts with Day Spas located 112 miles East of Los Angeles tucked in the foothills of the San Bernardino Mountains below the Southern edge of Joshua Tree National Park. Overlooking Palm Springs and the other Coachella Valley Cities. Natural Benefits: Desert Hot Springs is built over one of the world’s finest natural hot mineral water aquifers. Naturally occurring mineral waters bubble and percolate to the surface so spas are very popular in Desert Hot Springs. Desert Hot Springs also offers pure, award-winning municipal drinking water, clean air, magnificent scenery, and easy access to all the events and attractions in the Coachella Valley. After enjoying the relaxation in one of the Spas you can partake of Hiking, golf, tennis, sunning, shopping, sightseeing, bicycle riding, jeep tours, ballooning and horseback riding in Desert Hot Springs or a surrounding community. Museums, theatre, concerts, and other cultural events are also available in the area. Excellent Climate: With warm, sunny, clear and dry days, winter visitors find the area most attractive. There are more than 330 days of sunshine per year. The summer months are warm, but comfortable due to the low humidity and elevation above the rest of the valley. Whether you’re coming to Desert Hot Springs to work, play, relax or purchase a home, we think you’ll be won over by its friendly small-town atmosphere. Location: Desert Hot Springs is located just 112 miles from Los Angeles and 248 miles from Phoenix AZ. 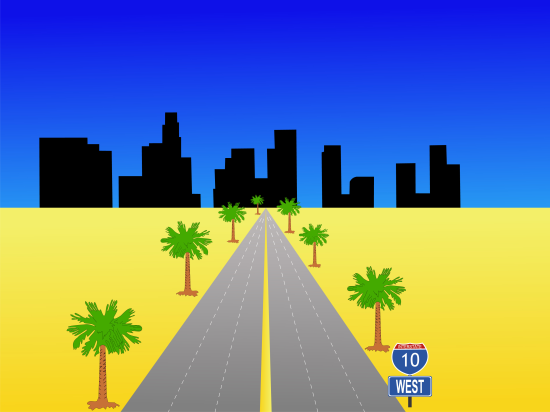 The city is on the I-10 which is the direct route between Los Angeles and Phoenix Approximately a two-hour drive from L.A. or San Diego via 1-15 and 1-10. It is located just 12 miles from Palm Springs International Airport, which offers connections worldwide.